Management is offered through the Paul Dickinson College of Business. 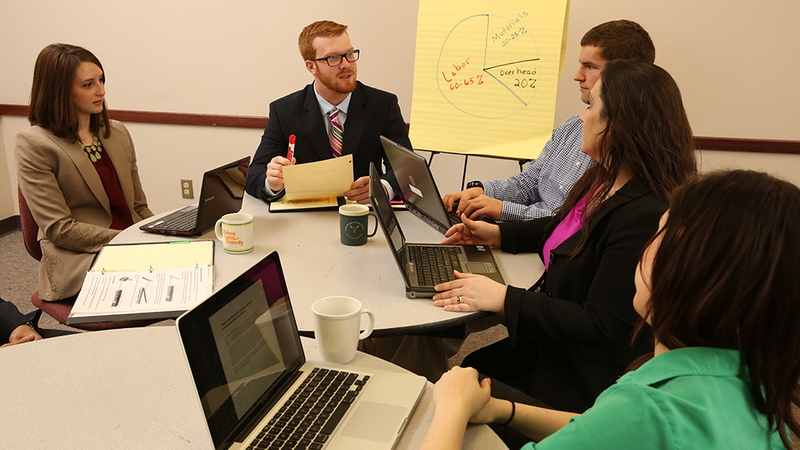 In Management, students learn about the broad subject of business. They learn about accounting, economics, computer information systems, finance, international business and marketing. Students delve deeper into the field of management by taking additional courses in production and project management, organizational behavior, human resource management, international management and new venture development. The courses put heavy emphasis in practical experience through class projects. What makes an OBU Management degree special? Management students learn to work with the four functions of management – planning, organizing, leading and controlling in small and large business as well as domestic and international companies. The Introduction to Organizational Management course, which is required of all business majors, is taught with the assumption that all students, regardless of major, will go into management someday. Outstanding students have the opportunity to apply for early admission into the MBA program, which will allow them to begin the program during their senior year. What are OBU grads doing with their Management degrees? Many graduates go into management trainee programs at large corporations such as Wal-Mart, Cintas, Walgreens, or Barnes and Noble. Some assume positions in small or family owned businesses. Other graduates enter graduate programs such as MBA or Law.